I still remember the first time I interacted with Windows 3.1 back in 1992. It was so refreshing to work with something other than CLI (Command Line Interface), which dominated personal computers in the mid-to late eighties. A lot has changed for Microsoft since those days. When I was invited to ask this column, I had to double check that it has been five years since Windows 7 was released. Time certainly has passed by quickly. As for the one-year anniversary of Windows 8.1, that, I can easily accept. Its troubled start (particularly around refreshing the look and feel of Microsoft's consumer operating system) did not result in the adoption rates Microsoft was hoping for. Historically, organisations have not adopted the latest operating system in fear of impacting their application landscapes. For instance, there are still thousands of systems out there running Windows XP although Microsoft has discontinued support for it. However, Microsoft has adapted to this reluctance for change, delivering Windows 7 in 2009 (which remains the Microsoft operating system of choice today, despite the availability of Windows 8.1). It is mature and it is trusted. So, while I am quick to say that Windows 7 is a significant player in the history of operating systems, Windows 8.1 is decidedly not. If you do a quick web search, you will find many articles detailing how Windows 8.1 is a flop, and the demise of Windows XP has actually increased sales of Windows 7. Nevertheless, I see Windows 10 as a distinct departure from these previous operating systems. Whereas Windows 8.1 has been merely patched up to survive in today's ultra-fast changing OS landscape, Windows 10 appears to fully embrace the world of mobile computing and cloud computing from the ground up. With Satya Nadella at the helm, Microsoft has been remarkably open towards Windows 10. Before the release of Windows 8.1, Microsoft surveyed the market and then decided what needed to be developed, but on this occasion, Microsoft has invited the community to influence the eventual release of Windows 10 by deploying a technical beta version of the code. To date, over 1 million users are evaluating Windows 10, with Microsoft receiving 200,000 distinct pieces of feedback already. This is a clear indication from Microsoft that they are looking to get back in the game with old adversaries (Linux vendors), as well as new competitors (Amazon, Google, and Apple). 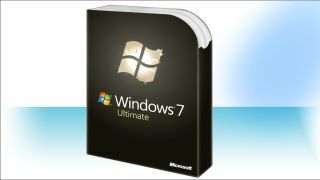 Although Windows 7 certainly has been the staple OS of choice for most enterprises, in terms of the desktop as well as the server/infrastructure, what Microsoft delivered was fit-for-purpose in the period that it was released. Given that Microsoft was largely dependent on the hardware capabilities of the time, they now have their work cut out for them to ensure that Windows 10 will be flexible enough to accommodate the next wave of computing revolutions. The market has changed significantly in the past five years in terms of smartphones, tablets, laptops, desktops, servers, and most recently public/private/hybrid cloud and the IoT (Internet of Things), but these considerations were not nearly as critical for the success of Windows 7. Given the importance of the huge variety of computing platforms, Microsoft now needs to be more agile with respect to cloud and mobile readiness, the development of applications, and integration with non-Microsoft-based platforms. The major difference between the releases of Windows 7 and 8.1 and the release of Windows 10 is the expectation. In 2014, there is no room for error (an impossible feat for software development). This day and age requires immediate fulfilment and zero tolerance for product delays. While the public may once have more readily accepted earlier OSs, the onus is now on Microsoft to ensure its platform is flexible, high performing, scalable, and secure if they are to compete and lead the way for computing platforms in the future. Since it is assumed that Microsoft will deliver consumer-grade experiences with next-to-zero failure rates across the platform, Microsoft will need to meet and exceed the high bar set by their competition in order to be seen as an innovator and leader in software development.